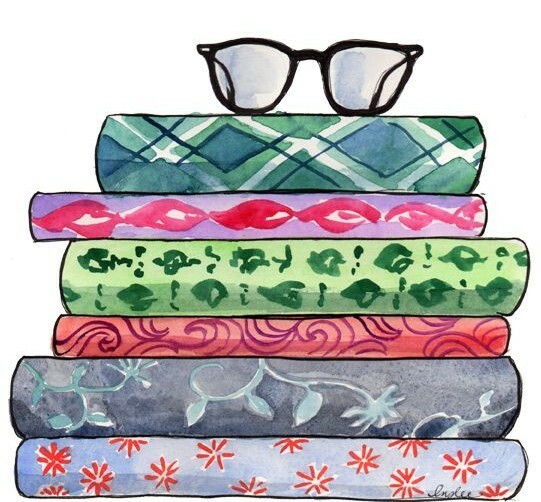 It’s a brand new year which means a brand new year of reading! My reading piles are already growing, and growing! Oops! But, I’m staying true to my plan to “bounce back from a year of off reading”, and have been pulling more from my shelf, grabbing what catches my eye from the library shelves and also planning out the books I’ll read next that were sent for review by publishers. 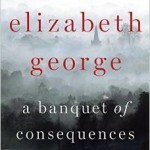 I did finish my wonderful Elizabeth George book, Banquet of Consequences, and enjoyed my time once again with an Inspector Lynley novel! That was my final read for 2015 and I finished it at the end of day on January 1. 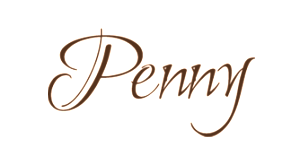 Another grand mystery with a cast of great characters and the continuation of the stories for Lynley and Barbara Havers. Now, to wait another 2 years for the next! Arcadia by Lauren Groff spoke to me from the shelf at the library, and it was one part because of this great looking cover and another part need to banish Groff’s latest novel, Fates and Furies from my mind. 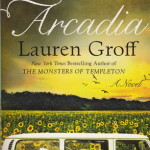 I’m hoping Arcadia will spark the love again like I had when I read The Monsters of Templeton. I wrote of my strong, (and perhaps too harsh), dislike for Fates and Furies and I’m truly hoping Arcadia is a vastly different read, more in tune to the one found in Monsters. 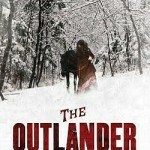 I’m also continuing with the Goodreads CBC Books Monthly Read, The Outlander, by Gil Adamson. The theme for January’s group read is “New Beginnings” so Debut Novels were the books chosen for this month. I’ve only read the first section, as according to our reading schedule (a section a week, discuss that part of our reading and move on to the next part) and it’s been an intriguing read so far. 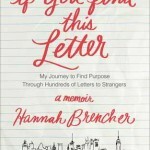 There are a few things that I find irritating about it, but I’ve only really just started so have to give it a chance – it is a very well received book! In keeping with my plans for the “Free Range Reading” and pulling books down from my own collection, I decided to get caught up on my Maisie Dobbs reading! The Mapping of Love and Death is #7 in the series by Jacqueline Winspear, and she’s releasing #12 in the series, so I need to catch up! 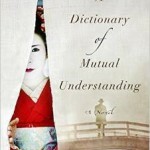 This one is on my shelf, and the next in the series, A Lesson in Secrets, is on my Kobo. 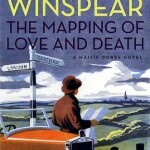 I thoroughly enjoy Maisie Dobbs and it’s been lovely getting back into her stories of sleuthing in the post-WWI timeframe. So I’m already starting off the new year with a pile of what I hope to be great reads! There are so many more to get to, but I’ll pace myself and know that I will get to them. I’m hoping the feeling of wanting to read all the books won’t overwhelm my ability to sit and enjoy the book in front of me. 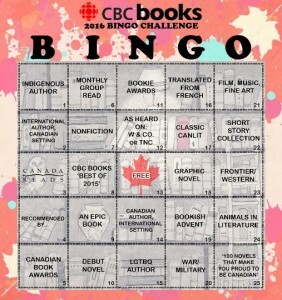 I haven’t even started on the CBC Books Bingo Challenge either! Although, I could perhaps slot The Outlander into either the Debut Novel or Monthly Group Read squares. No double dipping though! So it has to be one or the other. 🙂 No shenanigans allowed! 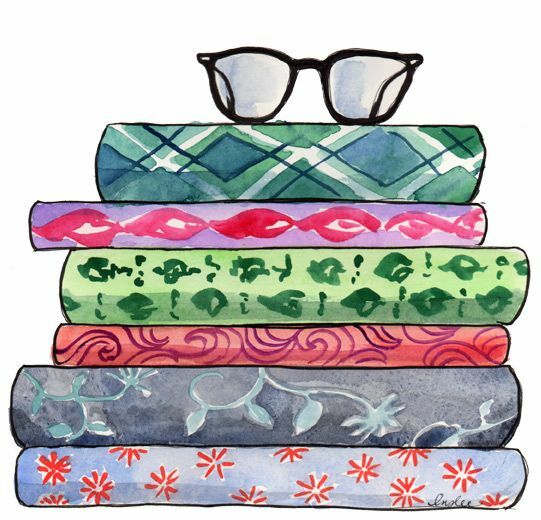 Hope you’re enjoying the start to your brand new reading year, and that you’ve got some really great reads planned!